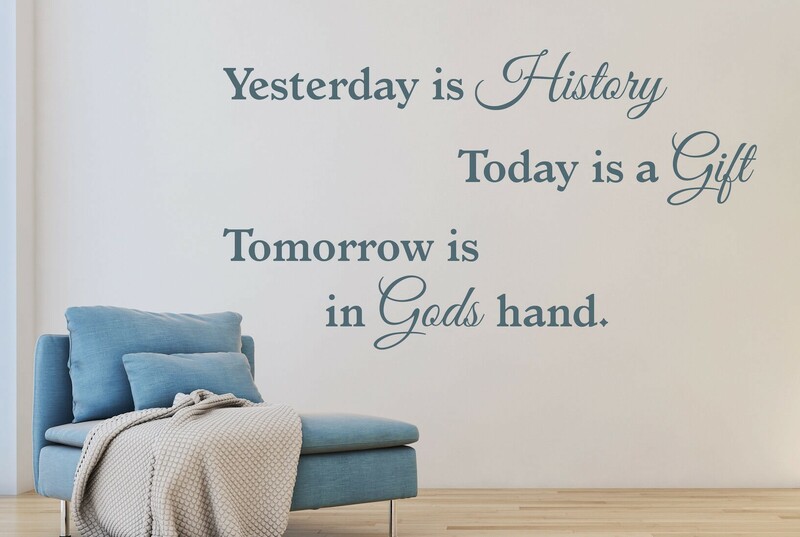 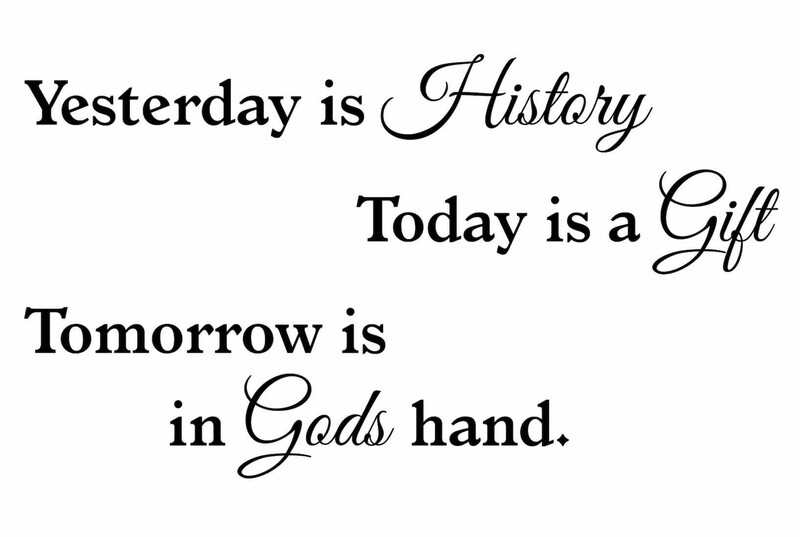 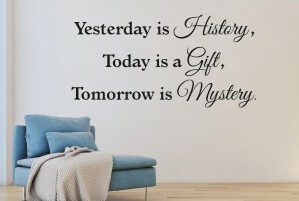 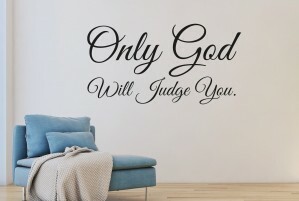 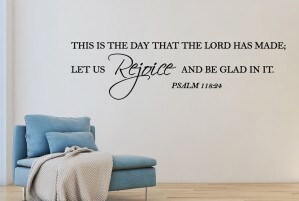 Muursticker met de tekst "Yesterday is History, Today is a Gift, Tomorrow is in Gods hand.". 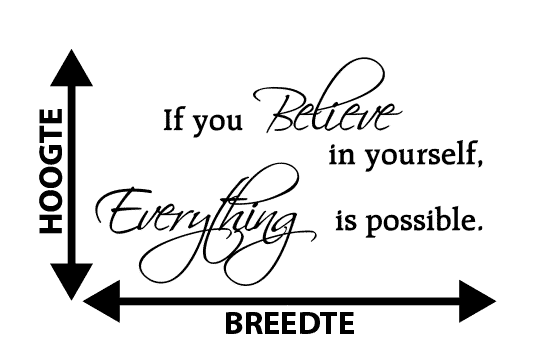 De tekst is verdeeld over 4 regels. 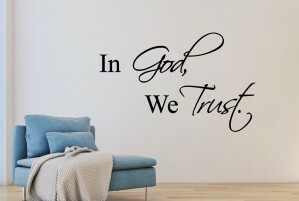 Muursticker "In God, We Trust"
Muursticker "This is the day that the lord has made"
Muursticker "Yesterday is History, Today is a Gift, Tomorrow is Mystery."